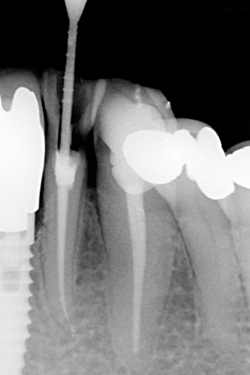 What is involved in a root filling/root canal therapy? Tooth decay and other dental problems can cause serious damage not only to your teeth, but to the supporting tissues that surround the teeth as well. The spread of infection can expose your teeth to the risk of being lost permanently, especially when the problem is not addressed early enough. A root filling or root canal therapy can provide solutions when the dental pulp has been infected – so that you can still save your tooth from being extracted. Root fillings not only save your teeth from being extracted – it also prevents the further spread of infections to other teeth and the surrounding tissues, to stop the problem from being even more complicated. Your teeth are meant to last a lifetime. A root filling treatment can save your teeth from being extracted – and can save you from being toothless. To ensure that we can provide you with the best root filling treatment option, we use the latest techniques using high powered magnification and digital radiography. We use Protaper system, System B and Obtura. 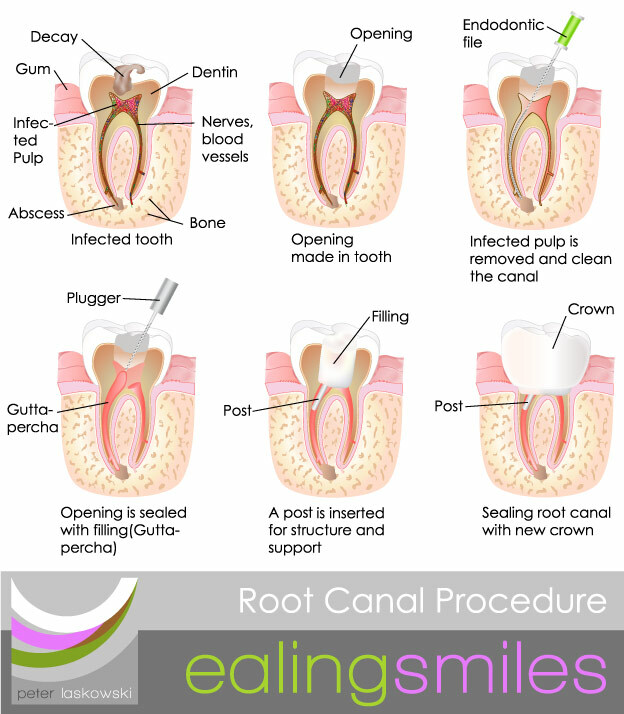 What is Involved in a Root Canal Filling/Root Canal Therapy? Even if one of your teeth becomes injured or diseased, it can often be saved through root canal (endodontic) therapy. Root canal therapy is required when the dental pulp becomes damaged. The dental pulp is the soft core inside the tooth that contains blood vessels and nerves. When the pulp is diseased or injured and can’t repair itself, it dies. This allows bacteria to cause an infection inside the tooth. Eventually pus will build up around the root tip and form an abscess in the jaw bone. Treatment involves one to three visits, during which the pulp chamber and the root canals are cleaned and sealed. Before the actual root filling procedure, antibiotics may be used to address a dental abscess or the presence of pus. All of the dental pulp portions that have been irreversibly damaged will also be removed before the root can be filled and sealed. A local anaesthetic will help ensure that there is very little to no discomfort experienced during the procedure. A small hole will be made, going through the tooth and until the pulp area. This hole will facilitate the removal of the damaged pulp portions, as well as the cleaning of the root canals. The tooth root’s canals will be shaped accordingly to prepare them for the filling material. The roots are then filled, and then sealed, so that further infection can be stopped and prevented from spreading to nearby teeth and other oral tissues.